The fact that Instagram is a social network not only for teenagers, but for entrepreneurs, is undoubtful. For quite long Instagram won its audience, and in 2014 there was a massive boom on Instagram, when articles and studies on sales in this social network began to appear. Gradually, administrators of other social networks migrated to Instagram, not forgetting to bring their own promotion methods with them. However, today only lazy people do not use the Instagram application and do not make money through it. But what ideas for business exist on Instagram? Get acquainted with them through our article! On Instagram people actively enjoy photos of pets, beautiful interiors, handmade products, and celebrities. And here is how you can earn good money on Instagram. One of the most common ways to earn money is the sale of advertising. The idea is simple - you start an account on a certain topic (it's like a public page on Facebook), gain subscribers, likes, comments, support activity in your account. And the owners of shops, boutiques, who have the same account as yours, buy advertising from you with a link to their account. So, this is the easiest way to earn money. But to untwist today the account in Instagram is more expensive than it was in 2014, when Russia experienced the so-called instagram-revolution, and the owners of Vkontakte publicly poured into Instagram. If you do not need your business, and you do not want to invest in advertising to promote your publicity, then you can lead other people's accounts for money and even do your own business on it. 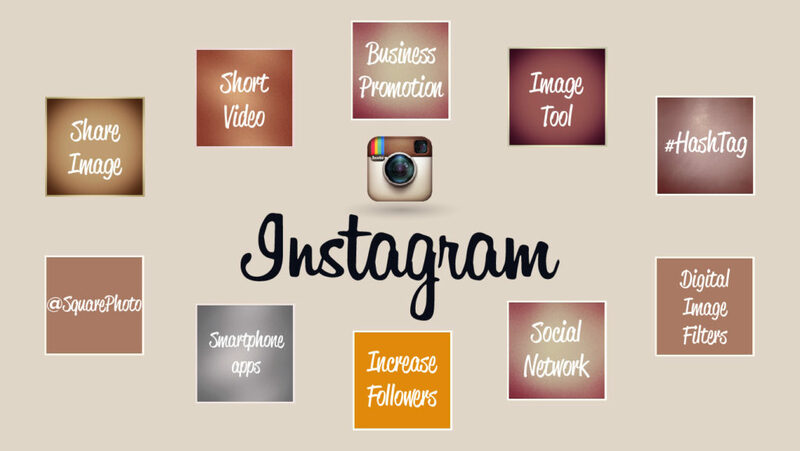 Business through instagrams today does not lead only lazy, therefore more or less self-respecting firms have already taken care of their presence in Instagram for a long time. So, now they need a specialist to maintain these same accounts. To do this, you need to understand the topic of promoting Instagram and, of course, in the subject of the promoted business. Perhaps it's a boutique of fashionable shoes, and you should know your Central Asia well, the features of the goods sold, and, eventually, the psychology of people and their behavior in Instagram to know exactly how to maintain an account. Over time, you can hire smart managers, pay them a salary for promoting accounts, and most seek out companies that are willing to pay you money for it. If you already have a business, then you can significantly increase sales through this social network. Ideas for earning on Instagram are various: sale of footwear, clothes, accessories, handicrafts, bags, perfumes, postcards and so on. Instagram is not relevant only to wholesale sellers. But for retailers it is very suitable. Just do not think that you only need to register an account, put a couple of photos of your unique product and sales are just ripped. The system of sales through Instagram is to create a trusting relationship with customers, to increase the level of customer loyalty to the company, and then sales. If you manage to win the loyalty of the audience, then sales will go by themselves. And Instagram is a very suitable social network for this. Related article: "How to sell in Instagram or why your Instagram does not work?" Registration of commercial accounts, development of landings. So, you do not like to write posts and do not want to engage in promotion of someone else's public, and you do not have your own goods for sale through Instagram. Then one more idea for instagram will be the registration of other people's accounts, namely the creation of so-called landings. If you are a designer or like to work with graphic editors, then this option is for you. You can earn money by developing such selling landings for Instagram. Promotion and sale of accounts. We have already talked about how you can earn money by selling ads in your promoted account. Let's now discuss the sale of these most popular accounts. Yes, yes, it's like with sites, you create an account for a topic, untwist it and then sell it. This is a laborious occupation, because account buyers want to have live and active people in subscribers, not bots that imitate people's actions. Therefore, if you really want to make good money, you will have to work hard. You can sell accounts on special exchanges created in Vkontakte groups, they are easy to find through the search. You can also sell advertising in your account in these public posts. Another original idea for business in Instagram. Today there are already photographers specializing in Insta-photography. But we will talk about what is handy to anyone - this is the processing of photos. Companies just do not have time to do it. And you can render your services - selecting and processing images for publications or creating stylized posts. You can find this job through freelance exchanges or by contacting account holders who need to download their account. Thus, business ideas for earning on Instagram are diverse, and everyone can find themselves here. But it's better to hurry up while advertising is still available at prices in this social network. In a year there will not be an apple to fall!